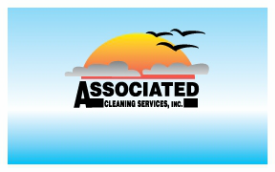 Commercial Service Questionnaire - Associated Cleaning Services, Inc. Example: On Call, Weekly, Monthly, Annually, Quarterly, etc. Any information you do not have, we can help you gather when we contact you. *Please be sure to count each pane, and not just the window. A pane is considered to be an individual piece of glass bordered within a frame. See the diagrams below for reference. Big Panes: 6 feet in diameter or more (bottom left corner to top right corner). Big Pane Example #3: One big pane with two regular panes. Includes one slider and two tracks. Small Panes: Approximately 1 foot in diameter or smaller (bottom left corner to top right corner). You could easily fit your entire hand in a small pane.